Damp, musty rooms in your home are more than just unpleasant, they create the perfect atmosphere for mold and mildew that can result in health problems and damage to your home. 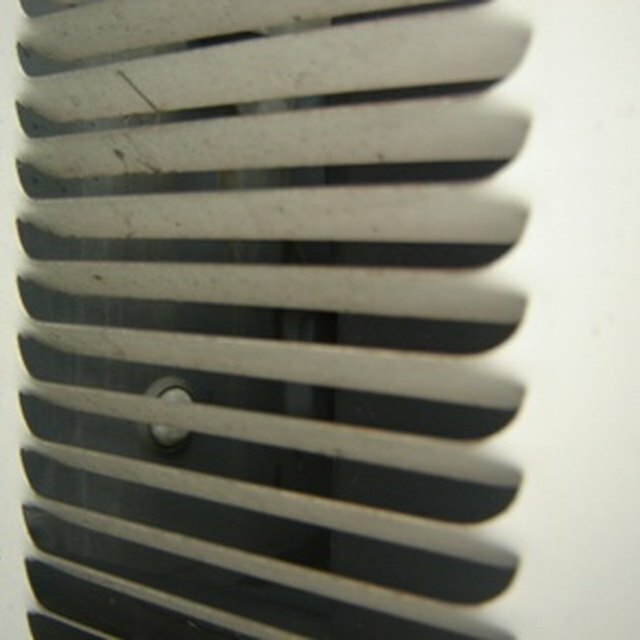 A dehumidifier can remove excess moisture from the air, creating a more comfortable environment. When shopping for a dehumidifier, it's important to understand how these units function. Most dehumidifiers are rated with a pints-per-day removal capacity, with larger pint capacity denoting a larger unit, and offer either bucket collection or an automatic removal method that allows the unit to drain to a sink or outdoor space. A dehumidifier can make a damp, smelly basement a more pleasant place to be. "Good Housekeeping," Amazon users and Home Depot users all agree that the Sunpentown (SPT) SD-65E is an excellent dehumidifier. This 65-pint capacity unit averages 45 stars on both Amazon and Home Depot, and "Good Housekeeping" gives it high marks for its slow fill-up time, simple controls and easy to clean air filter. "Good Housekeeping" raves that the Frigidaire FAD704TDP exceeds its rated capacity of 70 pints in their tests. An Energy Star-compliant unit, the Frigidaire FAD704TDP can be operated continuously when set up with a suitable drain line and features electronic controls, a collection bucket and a washable filter that removes airborne particulates. The Danby DDR5009REE is advertised on Amazon as a "Consumer Reports" recommended unit and is favorite of both Amazon and Home Depot users. This unit is Energy Star-compliant, features a 50-pint capacity and is recommended for rooms up to 3,000 square feet. The Danby DDR5009REE also includes an LED display and remote control. The Delonghi DD50P is rated highly by Home Depot and Amazon shoppers as well as by "Good Housekeeping" The unit is Energy Star-compliant, has a 50-pint capacity, allows users the flexibility of emptying the unit through a bucket, a drain line or a pump and features a timer that makes setting it to run at night or while you're away from home possible. The DDR7009REE is another popular model from Danby, earning great reviews from "Good Housekeeping" plus Home Depot and Amazon readers. This unit features a 70-pint capacity and automatic humidity settings, is Energy Star-compliant and offers electronic controls and a remote control. If you're looking for a dehumidifier that looks as good as it operates, the LG LD650EAL delivers, with it's sleek black cabinet, attractive electronic controls and streamlined design. "Good Housekeeping" and Home Depot users both rate this 65-pint, Energy Star-compliant unit highly. For smaller spaces, the Soleus DP1-30-03's 30-pint capacity is a great option. Highly rated by both Amazon and Home Depot users, this smaller dehumidifier features a continuous run mode setting when hooked up with a drain system and will operate in temperatures as low as 41 degrees. Another popular model from Sunpentown (SPT), the SD-65E is a favorite with both Home Depot and Amazon users. The SD-65E is a 65-pint capacity unit that offers users the choice between continuous dehumidifying or setting the unit to a specific humidity. Its quiet operation is also a plus for users. A 45 star model on both Amazon and Home Depot, the Winix DHD501 is a 50-pint capacity unit that offers users three options for emptying: automatically with built-in pump, gravity drain emptying, or bucket collection and emptying. A quick-connect gravity hose for emptying is included. If you're in the market for a dehumidifier that you can truly turn on and forget, the Royal Sovereign BDH-550 may be the unit you're looking for. A bucketless unit, the BDH-550 automatically empties, pumping water up to 10 vertical feet away, allowing it to drain into a sink or out of a window. It's a favorite of "Good Housekeeping" editors, Amazon and Home Depot users.